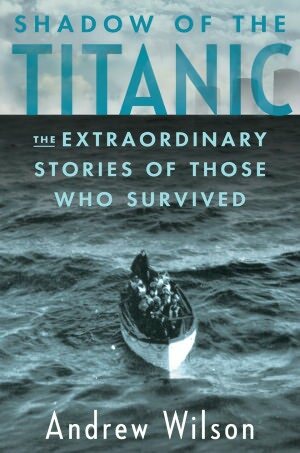 I'm in the middle of reading this book about the Titanic survivors, and it's all a bit surreal to know that tonight is the 100th anniversary of the sinking. 100 years! How crazy is that? I have been fascinated by the Titanic since I was a little girl. My mom's family is from Halifax and she heard stories about it from her mom, and introduced me to books and movies about it at a young age (thanks mom!). I also lived in Halifax and got to see the sites related to the disaster, so for me it definitely feels more "real" than legend. I continued to read about it for many years but then "the" movie came out and I just couldn't stomach all the so-called interest as everybody jumped on the Titanic bandwagon. It suddenly didn't seem special to me anymore, like it was a celebrity I loved who'd sold out for fame. Thankfully the hype died down a few years later and I was back on the bandwagon again, reading up on it every chance I got. Now the centennial anniversary is here and I find my interest piquing again. Isn't it amazing that Titanic is still within living memory, and that there were survivors in my lifetime? Isn't it incredible to think of all the change that has taken place since then, and yet it was not so long ago after all? I love all the little details about the ship, all the human stories and tragedies and tales of survivors. 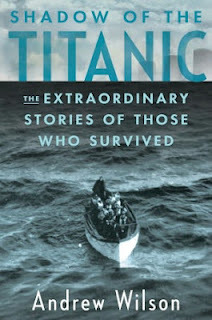 I find this book a bit disappointing - although I am learning about the big-name survivors, I was hoping to hear more about the lesser-known passengers for whom there is very little record. It's still a good read, and a testament to the fact that the first class passengers were in no way happier than those in the lower classes. Madeleine Astor was married to the richest man not just on the ship but probably in the world and her life story reads like a walk through crazytown junction. Trust me, you wouldn't want to be in her pregnant 18-year-old shoes. Compare her to the lesser-known 26-year-old Marion Wright, who traveled in second class, survived, married her sweetheart and settled down to a contented life on an Oregon farm. Not all the stories are of tragedy and suicide, although these are detailed here too. Overall I feel like I'm reading the Hello magazine gossip version of the passengers - most of these people are not people to whom I can relate, not being fabulously wealthy and weirdly eccentric myself. Maybe someday someone will write a book about the small tales and lesser-known people on board (maybe they have?). Until then, I'll just keep mining for details and quietly walking the decks in my imagination.